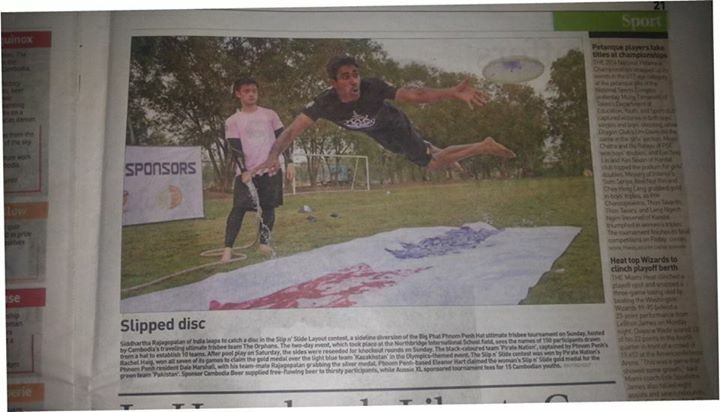 In August 2017, Cambodia Flying Disc made a historic step; for the first time a team from Cambodia would join a WFDF event. Team Yeak-or joined the Asian Oceanic Ultimate Club Championships in Manila. 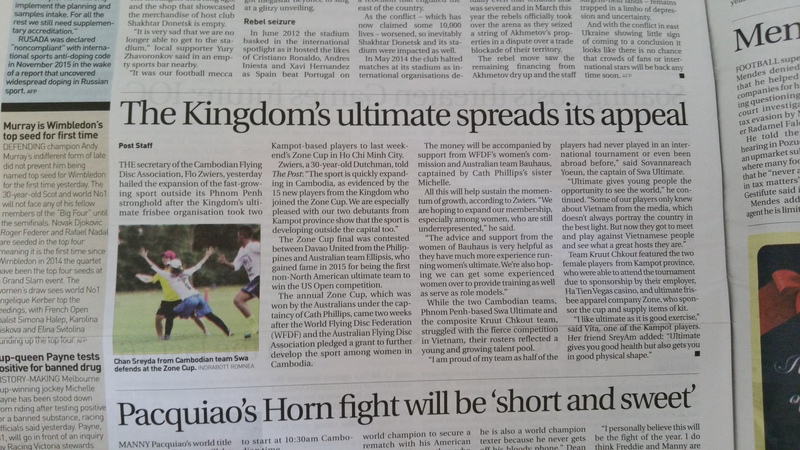 We sent 2 teams to Mekong cup 2016, see the pre-tournament PP post article here and a post-tournament write-up n the PP Post here. February 15th-16th, 2014: Mini Beach Hat Tournament and Clinic in Kampong Cham.